My father was almost the next Great American Novelist. That’s what the readers wrote on his application to the Iowa Writers’ Workshop, where he spent a productive and happy two years in his late 30s. Then, I was born just as he graduated, and all of a sudden, we added up to a household that needed more than a few short stories to keep us afloat. And so my father began to teach. Teaching turned into a position as Dean, Dean into a position as Provost, and suddenly, my father, who had spent hours playing with us in ripped jeans and faded t-shirts, now worked 14 hours a day in suits and ties. Perhaps because of this, I was a precocious child. I can write that now without any sense of pride, because I have turned into a very ordinary adult. But back when I was younger, before I could even hold a pencil, I dictated stories to my older sister, which she typed out on our ancient word processor and printed for the family. Meanwhile, my father never wrote his novel. It seemed inevitable that, like the characters in the fairy tales I was obsessed with, I was tapped to pick up my family mantle. This was my destiny. Of course I would publish a novel before I was 23. 23? Don’t be ludicrous. I was going to publish a novel at 15. 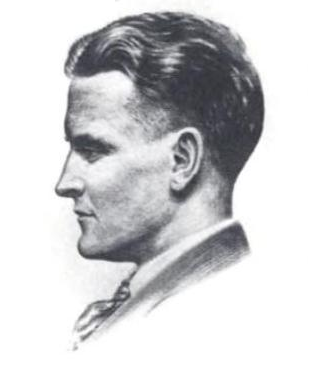 In an essay I revered as an adolescent, F. Scott Fitzgerald writes, “Premature success gives one an almost mystical conception of destiny as opposed to willpower.” I would have done just about anything to have this problem. I was more than convinced that I was the writing world’s next ingénue. I had a book in me. This led to a highly anachronistic manuscript (Sweet Rain Falling) about the British aristocracy in the 1960s. Did I mention that it was 2001 and I was living in Wisconsin? I sent the book out and then checked the mail obsessively for weeks. My heart constricted with each rejection. But I had time, right? I was only 17. It wasn’t until I was actually in college that 23 started to seem like less of a far-off deadline and more of an impending mandate. It had taken on a life of its own. I couldn’t just be another girl saying that she wanted to write — I wanted to have written, and I wanted to do it younger, and smarter, and (preferably) better than anybody else doing it. Instead, I was starting to realize, I had written several failed novels (one at 11, one at 20) by the age of 21. I turned 22. I graduated from Brown. I started working on another novel, but I had a full-time job, and it came slowly. I swore that I wouldn’t let the daily grind beat the writing out of me, and I kept at it. I had some short stories published in some minor literary magazines. I felt certain that my big break was coming. I was Zadie Smith. I was Margaret Atwood. It was going to happen. And then I was 23. But I had just turned 23. I convinced myself that I still had time to live up to my destiny. And so I cranked out that novel with all of my might, certain that my total future rested upon it. And yet, my next novel was rejected by a number of agents. Some of them wrote me nice notes, which was enough to keep me going as I kept publishing my short stories, entering competitions, going to grad school, moving to France, falling in love. Turning 24. Turning 25. I am now 29. My first book is about to come out. It is not a novel about war, or poverty, or star-crossed love. In fact, it’s not a novel at all. It turns out I was writing it all along. The night of my college graduation, my friend Jess and I made a pact to email each other once a week, no matter what, and to be totally, completely honest. We kept up this pact for years: while I was in New York and she in Beijing; when I was in Paris and she in Melbourne; and, finally, when we ended up in the same city, we realized how much we missed our emails to each other, and we decided to put our correspondence together, into something tangible. It is not particularly literary. In its epistolary email format, the book seems to confuse even the publishers as to what genre it is, but literary, it is not. But it is a meaningful book for me, a book about a friendship that’s been very important to me, the kind of book I always read with a hungry joy when I was lonely, feeling briefly connected to humanity. And yet, it is the kind of book I never in a million years considered writing — it is raw and casual, it is silly and giddy and it is candid. This is the way my real book turned out, despite all the years I spent writing novels. I can’t imagine the person I would have become if I had actually had published a novel at 23. What I had really had at that age was a deep desire to prove myself, to hold on to my ‘specialness’ after all the things that had made me a ‘prodigy’ — my adolescence, my fancy college — were stripped away. If I had published some show-off-y novel — well, I’m convinced that now, I would still be crystallized in my 23-year-old emotional space. Forever the ingénue, believing that things come easy; that if you want anything enough, you can have it; that the possession of certain inherent talents means that the world owes you a certain kind of life. These are not good reasons to write. I never thought I’d write a book like this. Part of me wants to go in and rewrite the emails with beautiful language and different endings. But, just as with my “perfect book,” I’ve had to give up my idea of what “my perfect life” would look like. 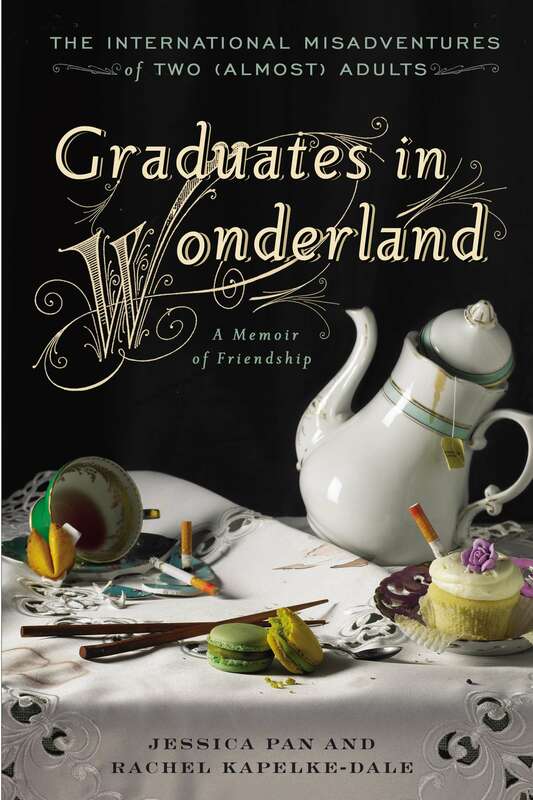 Graduates in Wonderland, an epistolary memoir about two friends living in Beijing and Paris, is out now.